Editor’s note: Diya Nijhowne is the director of the Global Coalition to Protect Education from Attack, which was established in 2010 by groups concerned about ongoing attacks on educational institutions, their students, and staff in countries affected by conflict. The views expressed are the author’s own. Although the girls were badly injured, all three thankfully survived. Unfortunately, Malala and her classmates were not the only Pakistani students attacked in the past year. In June, for example, 14 female university students were killed when militants blew up their bus in Quetta, Balochistan, a western province. Pakistan’s teachers and administrators have also been targeted. Five teachers were killed in January in Khyber Pakhtunkhwa Province. In March, another was shot and killed in the Federally Administered Tribal Areas. A principal and six school children died that month during an attack at their school in Karachi. Schools and university buildings haven’t been spared. Militants set off explosives at a girls’ school in Khyber Pakhtunkwa, also in March. And classrooms have been used for military purposes just as the Pakistani armed forces used Malala’s school during a 2009 operation to uproot the Taliban from Swat Valley. Violence against students, educators, and educational institutions isn’t unique to Pakistan. We have documented attacks on education in about 30 countries in the last five years. On September 29, the extremist group Boko Haram killed more than 40 students asleep in their dormitories at Nigeria’s Yobe State College of Agriculture. That same day, an airstrike killed as many as 16 people, mostly students and teachers, at a secondary school in the Syrian city of Raqaa. Just this week, a dozen students were killed in an attack on a school in Iraq. Schools are attacked because they are seen to represent the government, or the curriculum is viewed as perpetuating certain values. The Taliban, for instance, demolish schools and threaten teachers and students where they believe the education provided is “un-Islamic.” Girls schooling suffers particularly, as Malala’s story illustrates. She has been blogging and advocating for education – particularly for girls – since she was 11. The assault was a direct attack on her views, her “audacity” in publicizing them, and girls’ education. Education is also attacked as a means of challenging the political system, or perceived ethnic or social inequality. Baloch militants have directly fired at non-Baloch educators as a tactic in their separatist struggle. Armed groups and security forces have used classrooms as barracks, firing positions, weapons storage, and detention centers because of their thick boundary walls, which make them good tactical sites, and because they have toilets, washing facilities, and cooking spaces. These uses harm education. Armed forces and armed groups often shut schools down entirely, or they make the learning environment so difficult that students stop attending. An armed presence can also trigger attack from opposing forces, threatening the lives of those within. In every country where education is under assault, access to and quality of schooling suffers. Parents are less likely to send their children, especially daughters, to classes, teachers flee, and schools close. Furthermore, violence and threats against education stunt long term social development and economic growth for the whole community. Preventing violence and threats directed at students, teachers, professors, schools, and universities requires a concerted response. Governments, armed forces and groups, international organizations, and communities should all play a role. At a minimum, countries should criminalize targeted attacks on education personnel and institutions, investigate attacks, and hold those responsible accountable. Donors and implementing agencies, meanwhile, should support projects and programs that protect schools and universities, working with the government and with communities on prevention and response. Armed forces and armed groups should not use schools for military purposes. Countries should endorse and implement the Draft Lucens Guidelines for Protecting Schools and Universities from Military Use during Armed Conflict, which we developed in extensive consultation with numerous countries, United Nations agencies, and non-governmental organizations. These guidelines, drawing on international humanitarian and human rights law, as well as good practice, help states and armed groups improve protection of schools and universities when planning and implementing military operations. 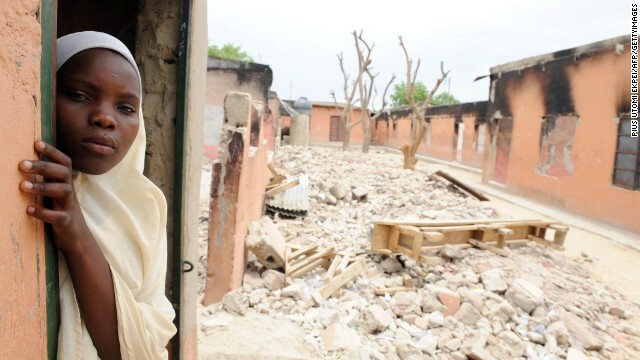 A year after her attack, the battle to protect education remains critical. It’s time we all joined our voices with Malala’s. Next entry »Zakaria: Something rotten with American system? « Previous entryHow big is the terrorism threat in Africa? Right to Education is a problem unique in the Islamic world. The examples quoted here are Pakistan's Taliban and Boko Haram etc. Right to Education is not a problem anywhere outside the Muslim World. People born in non-Islamic countries are so fortunate. The common theme here is Islamo-fascism. Why should the U.S. give ANY money to governments that don't do anything about the terrorists within their own borders? muslims attack education because islam is a religion based on ignorance believed in large by ignorant masses. If people become educated they will see that islam is a lie so they must fight against educating the masses. Really a shame because a lot of the things we teach in Western schoois – especially in mathematics – come from the Arabic world. We got the number zero from the Arabs. During the Crusades, the Arabs were more educated than the Europeans. I think that the only thing Islamic about these groups is their name. Islamists love terrorism. They hate education. In Columbia, armed civil conflict between government forces, left-wing non-state armed groups, and right wing paramilitaries has led to direct and indirect attacks on schools, a military presence around schools, and targeted attacks on teachers. Students, teachers, and schools have also been targeted in the Democratic Republic of Congo, where they have been caught in conflict between the Congolese Army, the Hutu-led Democratic Forces for the Liberation of Rwanda (FDLR), and the Congolese Tutsi-led National Congrese for the Defense of the People (CNDP). Armed groups have occupied and damaged education facilities, and students and staff have been shot, abducted, or recruited at school. In the Oromia region of Ethiopia, ethnic-based conflict has resulted, in a few cases, in students being shot, arrested, and beaten–particularly at the higher education levels–and in schools being targeted and used for military purposes. Maoist groups in India have directly attacked schools, often citing use of classrooms by the Indian security forces to justify the attacks–although, fortunately, the frequency of these assaults has declined in recent years. Students and teachers have also been reported shot or abducted. In her speech to the United Nations this past summer, Malala herself stated, "The terrorists are misusing the name of Islam and Pashtun society for their own personal benefits. Pakistan is a peace-loving democratic country. Pashtuns want education for their daughters and sons. And Islam is a religion of peace, humanity and brotherhood. Islam says that it is not only each child's right to get education, rather it is their duty and responsibility." Across the world, non-state armed groups, and in some cases even governments, target education as a tool for achieving political, ideological, or military objectives. This is not particular to any faith, ethnicity, or region. The point of this article is that students, teachers, schools, and universities should be left out of these battles. The Taliban and Islamist militants have no other means to make themselves heard other than violence. They have a couple of smart guys to lead them. Otherwise the rest of them are backward henchmen. So much so that they can't bear the idea of being outsmarted by educated women. Education is under political assault in the USA. Right wing and corporate interests are undermining the public schools, with vouchers and charter schools. They want to replace the public schools with schools run for profit, and/or politicized curricula (creationism, no global warming, etc.). Read Reign of Error by Diane Ravitch.